14'0"x29" 53000 Ft Egyeztetés szükséges! 12'6"x26" 46000 Ft Egyeztetés szükséges! 14'0"x26" 51000 Ft Egyeztetés szükséges! The Prolimit sup race boardbag is the best protection during transports. 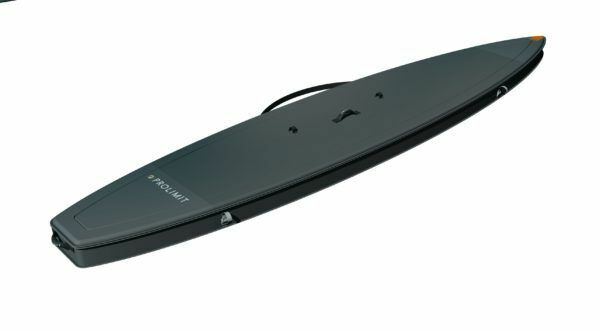 The new SUP race boardbag open into two separate halves. Making it extremely Easy to slide in your board without help.For protection we use a 12mm high density side wall padding and we use for the construction a heavy duty 600D polyester. The integrated compression straps take car of a snug fit of the board. Kapcsolódó linkek "PL SUP Boardbag Race Black/White"
Vásárlói értékelés "PL SUP Boardbag Race Black/White"